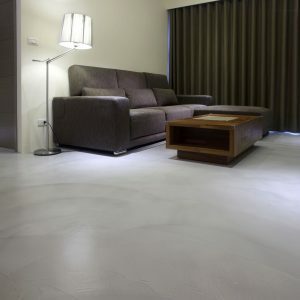 Polished Concrete Co. offer a vast range of concrete finishes and choosing which is right for you largely depends on your existing floor and design requirements. Our trained staff will be happy to talk you through your options in detail and arrange for a site visit to conduct a full survey. 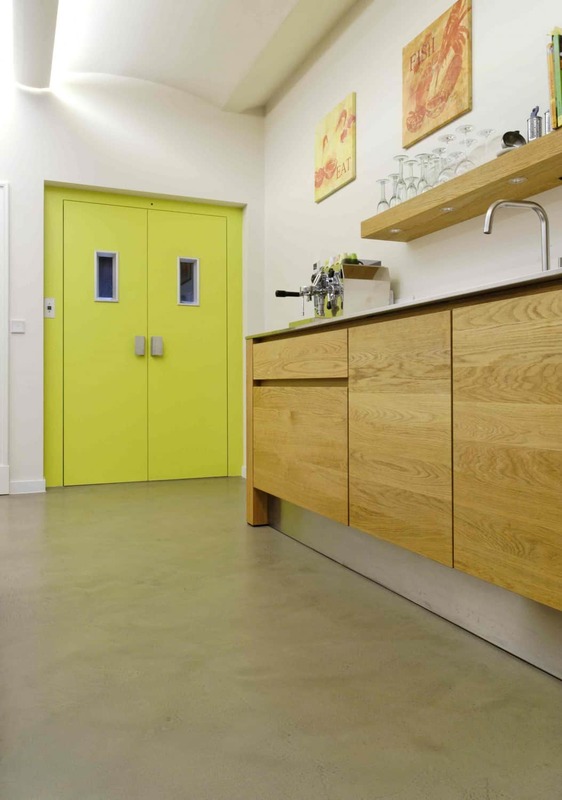 We will then be able to put together a polished cement flooring solution to your exact personal specification. 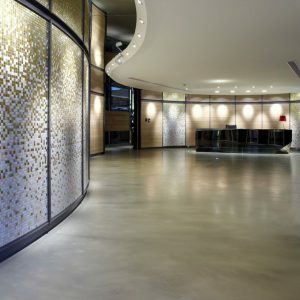 Polished concrete is ideal for residential, commercial or retail flooring. 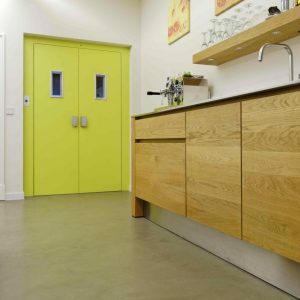 Our concrete finishes work equally well for bathroom and kitchen flooring; retail, hotel or office flooring. 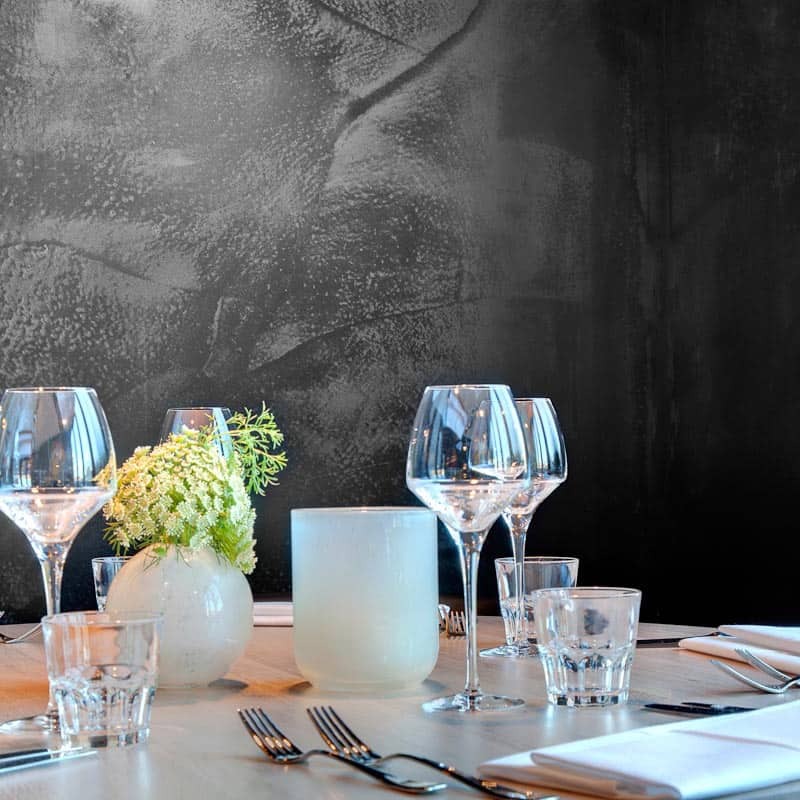 Our TFC Sans Couture is a cementitious based concrete which, when cured, is very hard and robust. In heavily-frequented areas, particularly in public buildings, floor coverings are permanently exposed to severe workloads. Thanks to its extraordinarily high wear-resistance, TFC Sans Couture is the optimum solution and displays a far higher level of inherent strength than other comparable floor finishes. It ensures that its aesthetically high-quality appearance is also preserved to ensure a permanent good impression. 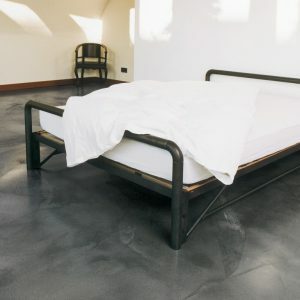 Our overlay can be laid onto an existing substrate to achieve the look and feel of polished concrete without using more traditional preparation methods and avoiding major upheaval during the installation process. 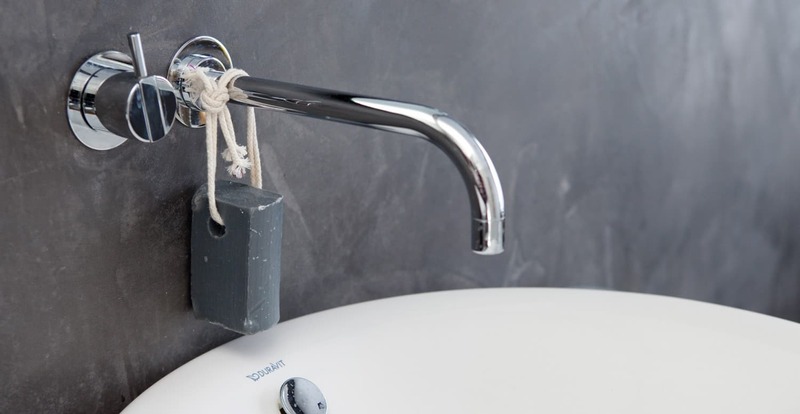 Our TFC Sans Couture is a hand-applied product which has a seal applied to protect it from staining and discolouration. 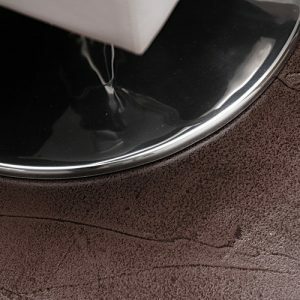 It comes in either matt, satin or high gloss finishes to suit your exacting interior design requirements. As approved installers of ARDEX PANDOMO® Floor and PANDOMO® FloorPlus we are now able to offer our clients a multitude of exclusive design possibilities for each room. 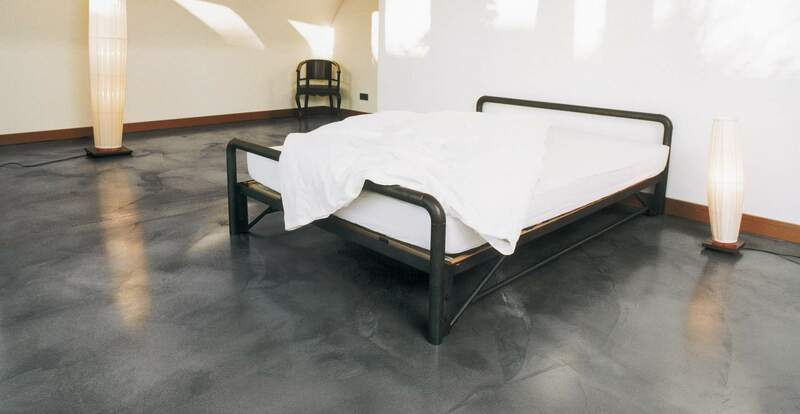 The cementitious floor covering allows an almost unlimited range of designs and colours thanks to its unique concept. All types of flooring can be freely and smoothly designed whilst offering the ideal conditions for perfectly implementing the vision of the planner. 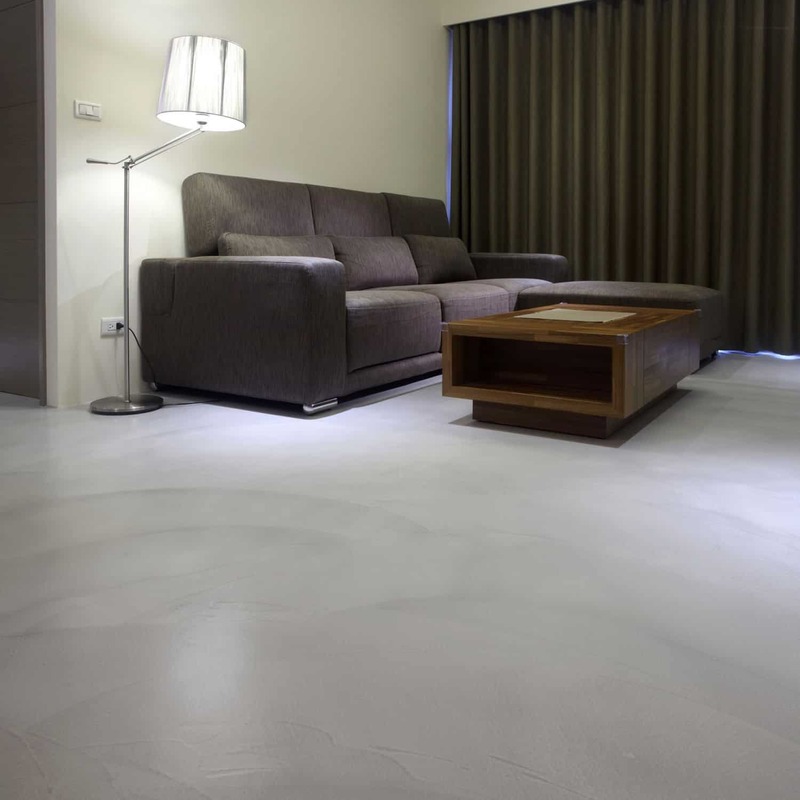 Smooth floor surfaces are created in a modern and simplified way by the cement-based materials. Using PANDOMO® Floor and PANDOMO® FloorPlus is exciting due to the abundance of variations available as the basic material can be coloured with PANDOMO® dye. 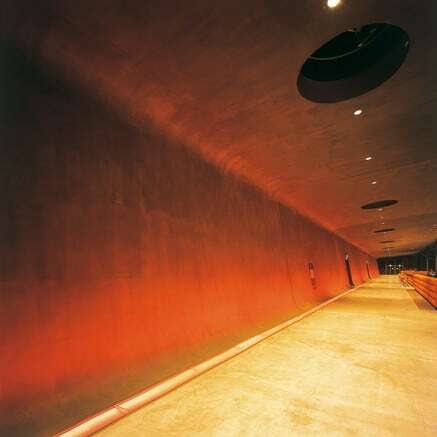 Unique design effects can be worked in and pigmented, allowing ceiling, wall and floor surfaces to be seamlessly placed next to each other for a continuous design concept. PANDOMO® FloorPlus also offers the opportunity to incorporate a specially selected aggregate into the freshly levelled floor, making the surface harder and more robust without it losing its overall surface appearance. 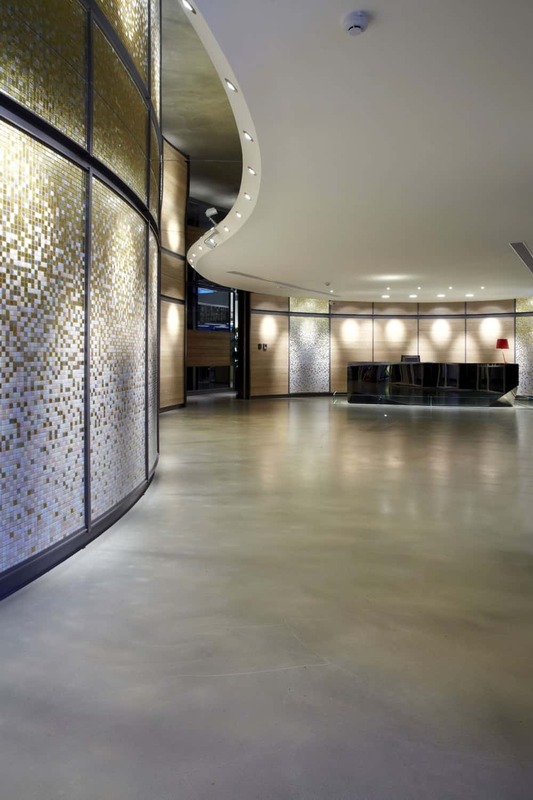 The basis for PANDOMO® Floor is the designer levelling compound PANDOMO® K1. 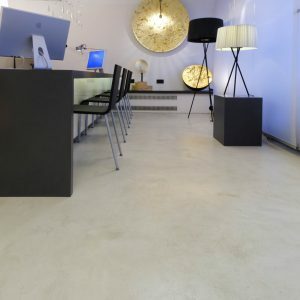 The floor is treated with stone oil afterwards, so the surface has a silky sheen that increases colour intensity, abrasion and water resistantance. 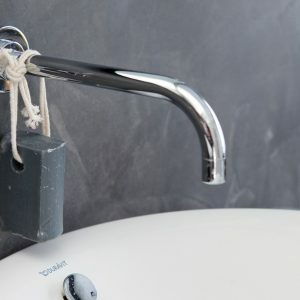 PANDOMO® Floor also achieves maximum durability with minimal effort and even at a thickness of only five millimetres it is permanently resilient. 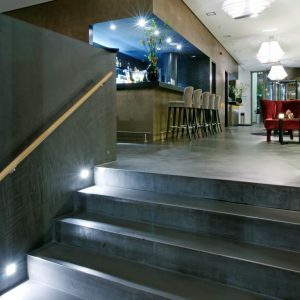 PANDOMO® Floor fulfills the highest requirements of style, exclusiveness and long term endurance. 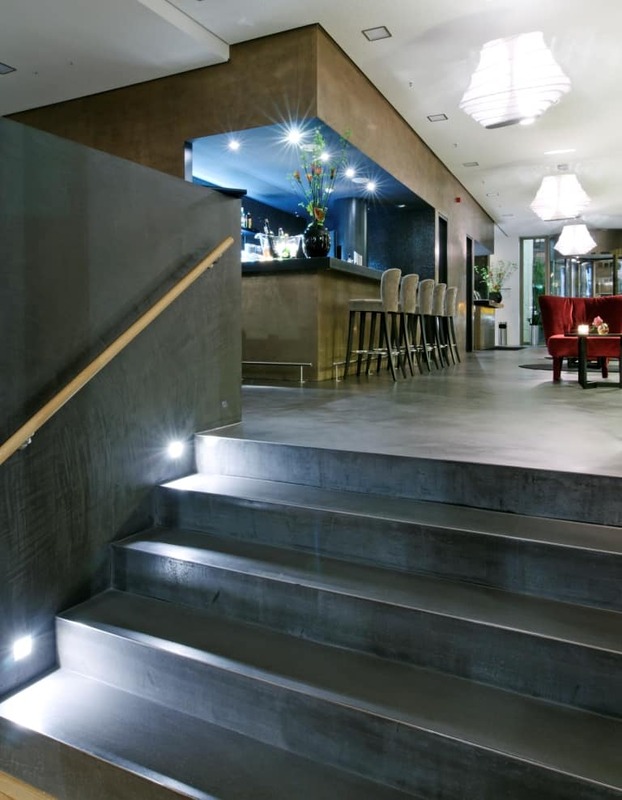 The concrete feel and industrial appeal not only ensure a quality appearance in commercial areas, but also in private living environments. PANDOMO® FloorPlus is he ideal choice where there is a requirement for a cementitious floor with a hard-wearing, tough surface. 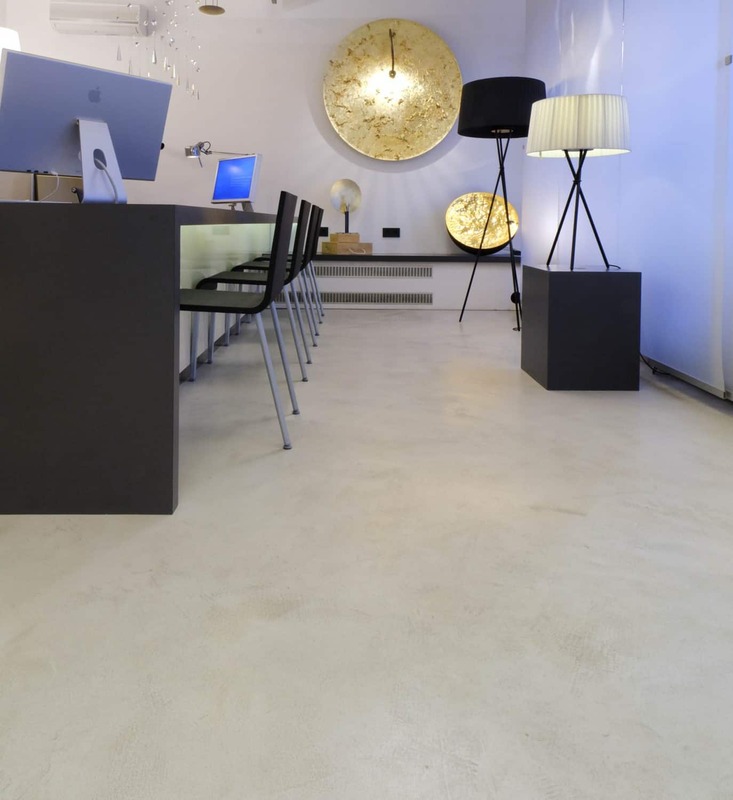 By sprinkling high-quality specially selected aggregate into the freshly laid floor, the surface becomes much harder and is given a more homogenous décor compared to PANDOMO® Floor. PANDOMO® Loft was created as a result of its solid and extremely durable structure for floors bearing large loads, especially in public industrial areas. 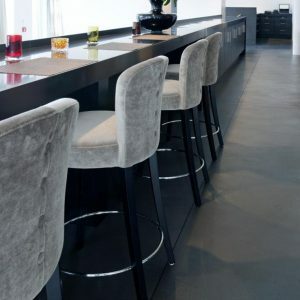 However, PANDOMO® Loft has also proved itself in private use where its unique texture and consistency allows for an almost infinite range of applications. It is here that the newest innovations in PANDOMO® are able to prove their exceptional qualities eg. the large-scale application of a mineral top layer can be applied thinly (approx. two millimetres) with PANDOMO® Loft, meaning that the height adjustment of fixtures and doors becomes superfluous. In other words: PANDOMO® Loft is not only beneficial visually, but also saves time in a distinctive manner. Thanks to its extraordinarily high wear-resistance, PANDOMO® Loft is the optimum solution. 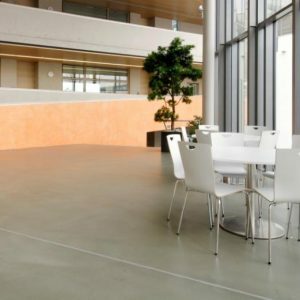 Developed from a paste-like base of water and cement, PANDOMO® Loft displays a far higher level of inherent strength than other comparable floor coverings. Using PANDOMO® Loft ensures that an aesthetically high-quality appearance is preserved over the long term for a permanently impressive design. 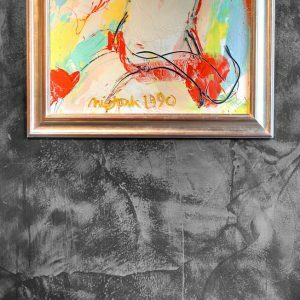 Use the surfaces of a room as a creative space to make an impression. With colours and structure, worlds can be created. 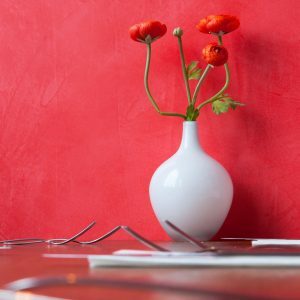 Whether you require a smooth, homogeneous surface or a two coloured design, PANDOMO® Wall can set distinctive trends in contemporary interior design. The design of a room is further enhanced through the attractive, iridescent surface appearance, which changes dependent on the light. PANDOMO® Wall is ideal for creating individual worlds and can be used to invent many different styles. There is no limit to creativity: an infinite number of colours, designs, and patterns come together seamlessly in short, everything is possible. Walls created with PANDOMO® Wall form the face of a room. PANDOMO® Wall turns walls into high-quality design elements. They can be designed individually to give every room a special feel. PANDOMO® Wall is also very functional. When treated with stone oil, the surface is durable, vapour permeable and easy to clean. PANDOMO® Wall offers countless possibilities with transitions between wall and floor. Depending on the desired ambiance and use, profiles made of stainless steel, brushed aluminium and wood or plastic are recommended. Gaps between floor and wall can also be sealed with silicone. Even the forming of shadow gaps is easily achievable. PANDOMO® Wall captivates with its suitability for any environment. Thanks to its cementitious origins, the surface is extremely robust and far tougher than any existing decorative system. 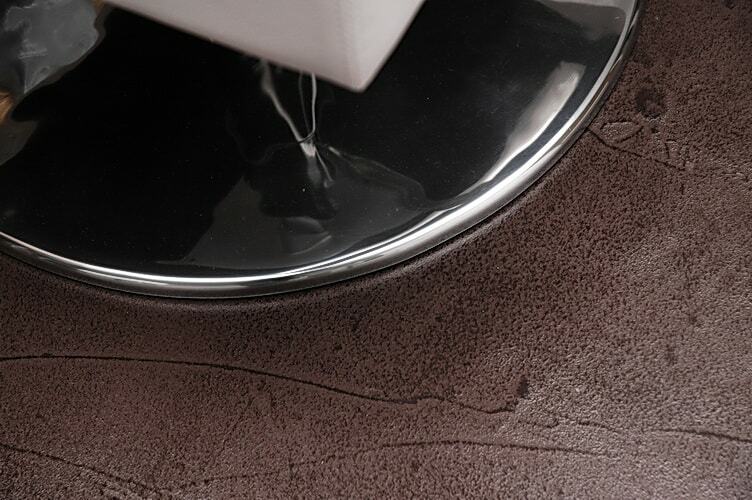 Dust and grime can simply be wiped off, leaving behind pure elegance. ARDEX PANDOMO® offers the ideal selection of colours. Each shade can be individually changed. The five colour schemes – light, natural, pure, bright, accent – offer the perfect introduction to room design. The colour schemes initially designed for PANDOMO® by Johannes Klinger combine tradition, nature and trends to offer a valuable guide when choosing colours.